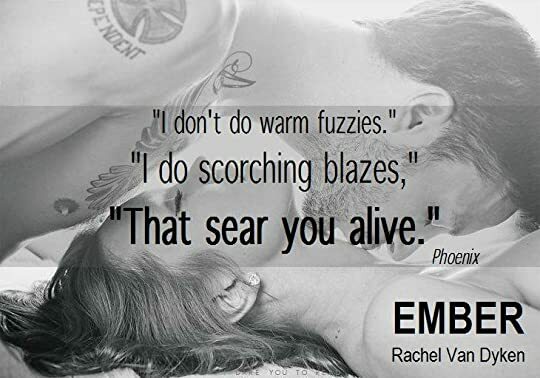 If you love your mafia books then you’ll adore this series. It’s subtly dark and dangerous and your imagination runs riot as you visualise in graphic detail the horrors that are experienced at the hands of those with Cosa Nostra blood running through their veins. This series really does get better and better and I never want it to end. What this book portrays is a story of hope and redemption which Phoenix firmly believes he isn’t entitled to after the atrocities of his past. 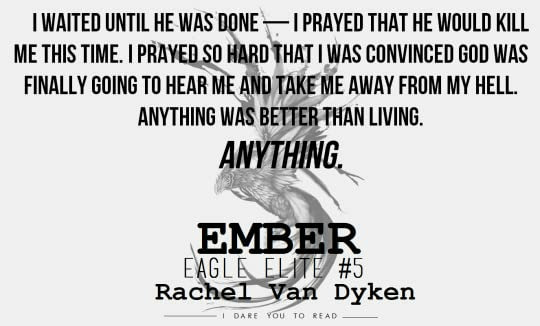 Rachel Van Dyken has been brilliant in the way she has turned readers around from hating Phoenix, knowing what he did to Trace and countless other women, to feeling your heart shattering for him. This, and the love of Bee, the cappo’s sister (yep, Tex loved that one!!!) means that eventually Phoenix starts to live each day with a purpose despite believing he will never be free from his damned soul. 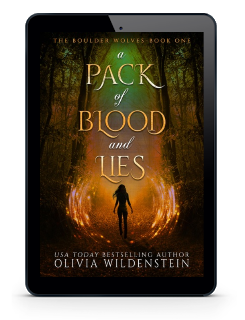 Bee is a sweet and inexperienced 19 year old who has lived her life in fear of her father but with her only friend Phoenix’s protection, she escapes the worst of what could have happened to her. Deciding to go to school for the first time, she enrols at Eagle Elite but isn’t prepared for what school life has in store for her. It almost broke my heart when she innocently asked Phoenix how to make friends but with Phoenix at her side as her bodyguard, thanks to Nixon’s instructions, she starts to face each day with more and more confidence. It’s not long though before Bee’s attraction to Phoenix becomes more apparent and by pressing his many buttons she eventually starts to break down his emotional defences and the poor man doesn’t know what he’s let himself in for. Phoenix doesn’t know how to deal with Bee’s sexiness and eventually, step by step, he opens himself up to her advances but not before she has him almost out of his mind by her sassiness. The rest of the gang are also present in this story as they face yet another foe set on bringing down the 5 family heads but will Phoenix be able to stand his ground as the new Nicolasi leader or will Luca’s footsteps be too large for this broken man to fill? I can’t wait to see where the story heads to next and to see what future lies ahead for Sergio.